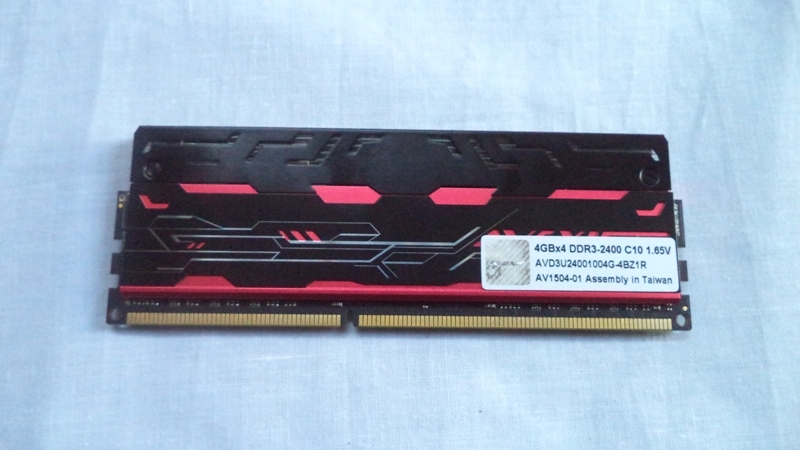 Just a few days ago we did a review on HyperX Savage 2133MHz 16GB memory kit that you can check here, and now we are back with yet another RAM review. 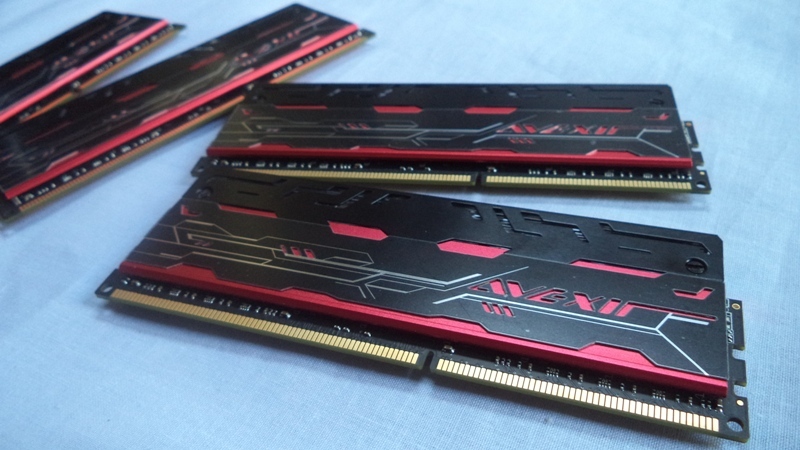 Whenever we think of getting a replacement or buying RAMs for our new system, first few names that strike our minds would be either G.Skill or Corsair or Kingston or someone else, but there’s yet another competitor in the market that’s not only famous for their aggressive designs but performance as well. 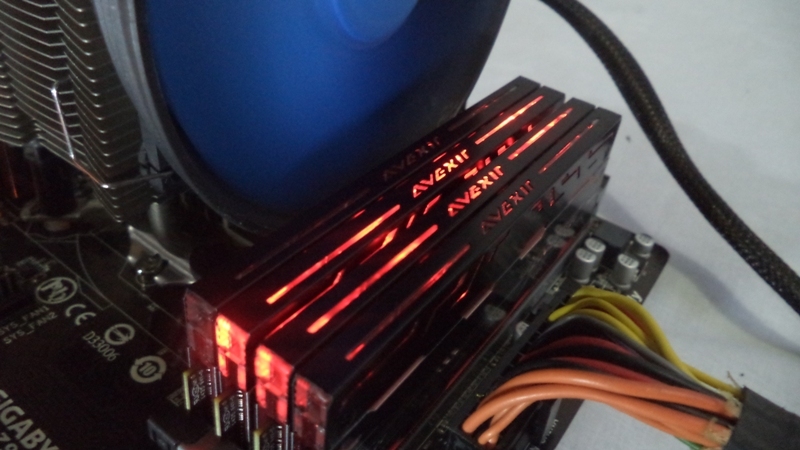 We’re talking about Avexir here that was established in 2006 and has already been the center of talk for modding and overclocking enthusiasts. 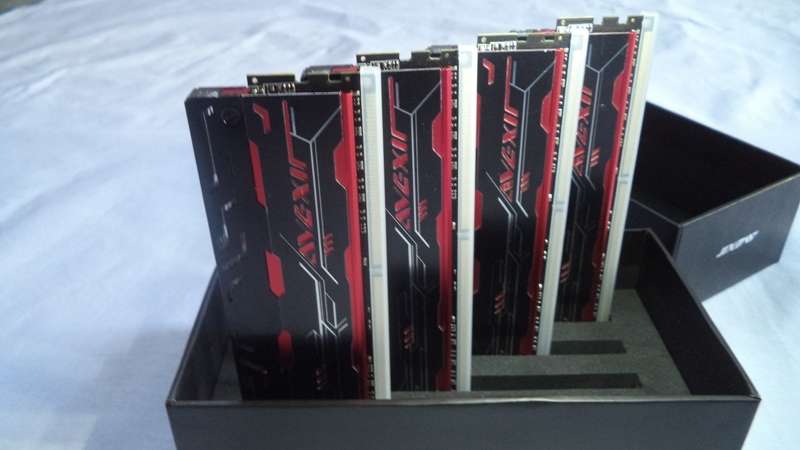 In just few years, Avexir has already been producing top notch RAMs, and that also includes the just release DDR4 RAMs. 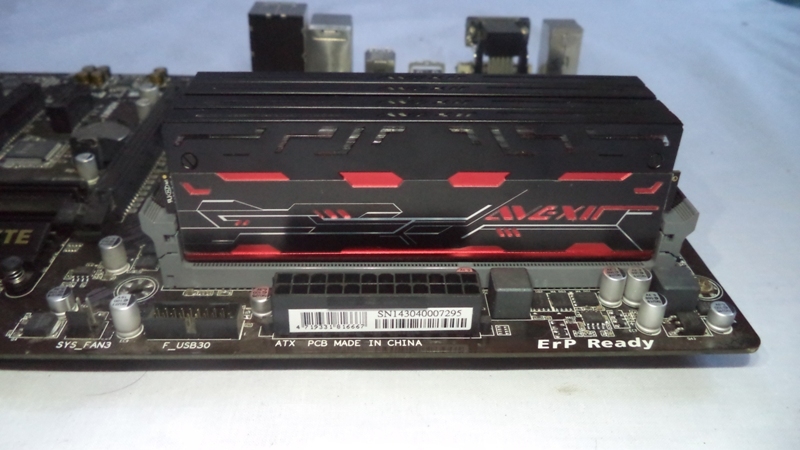 At the moment, Avexir have around 9 RAMs series and today we have one of their DDR3 memory kit from Blitz 1.1 lineup for review. Being a successor of Blitz 1 which focusing on heat spreading, Blitz1.1 is based on the original performance with additional gaming spirits making itself a born servant for gamers. 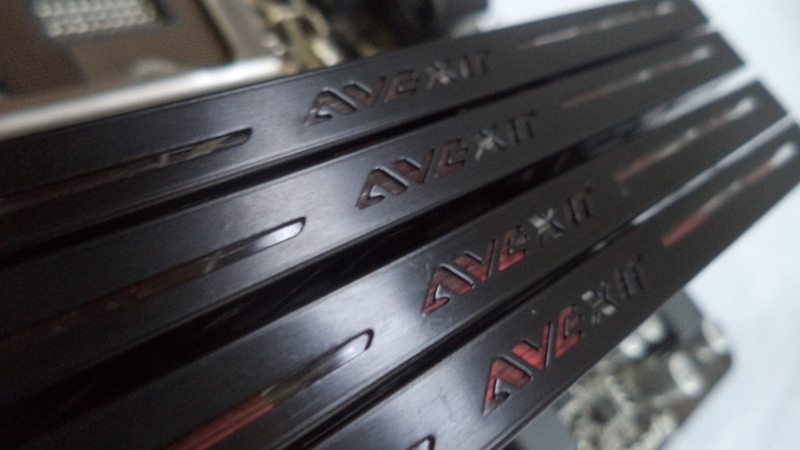 Complex process to build best products is always not a problem to AVEXIR. We make the removable heat spreader which overclockers with favor of liquid nitrogen must be happy to play around and unleash their mightiness. 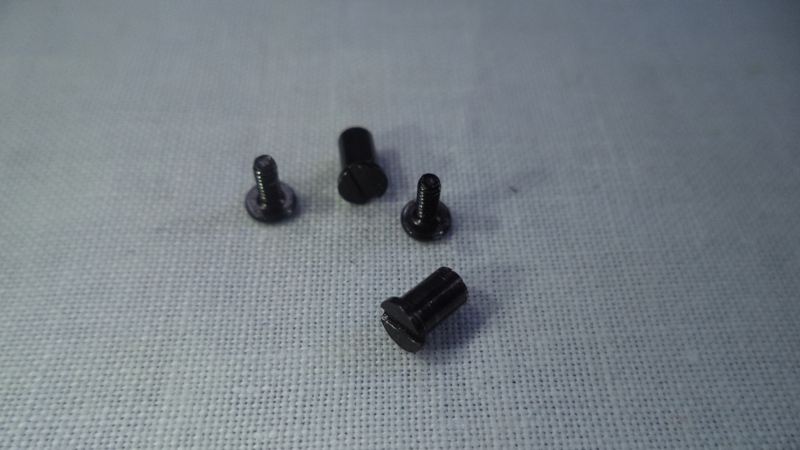 Blitz 1.1 is designed to fit products from five major motherboard manufacturers by providing eight perfectly suitable styles which will not fail expectations from gamers with strict standards of visual consistency. 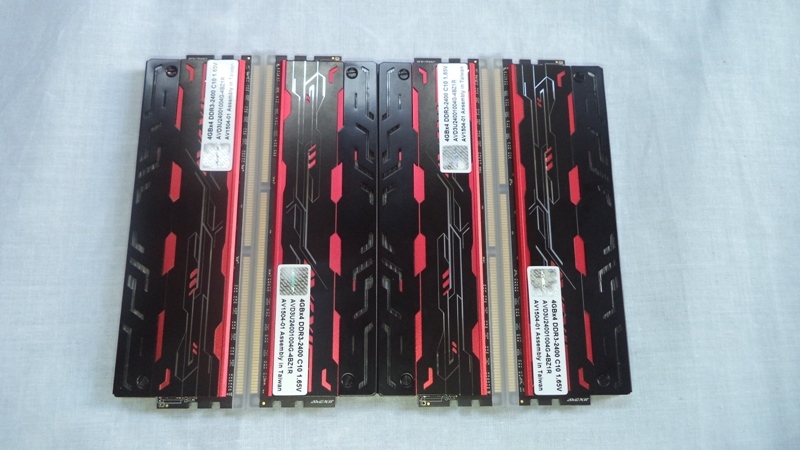 The specific sample that we have up for review is AVD3U24001004G-4BZ1R that’s a original Blitz 1.1 series RAM with red LEDs, 16GB (4x4GB) in capacity that’s rated to run at 2400MHz at CL10 timings at 1.65V. 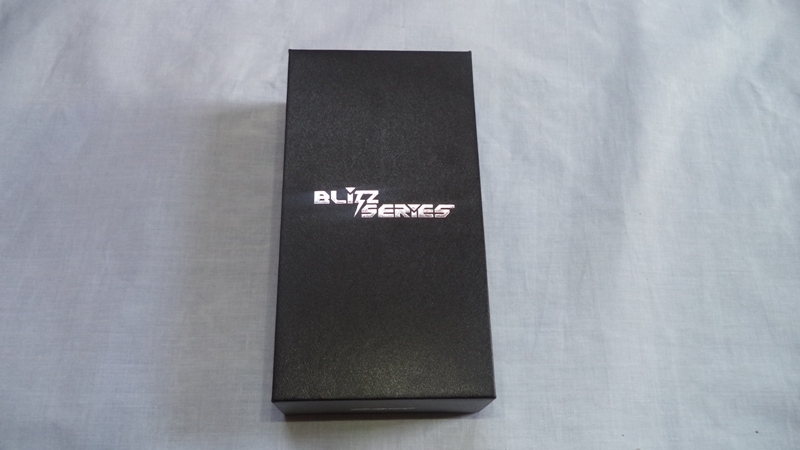 Coming down to the unboxing, we get the RAMs in somewhat a rectangular black colors box that has the Blitz Series text written on the Top. There’s not much to talk about the top, since everything is actually at the back. 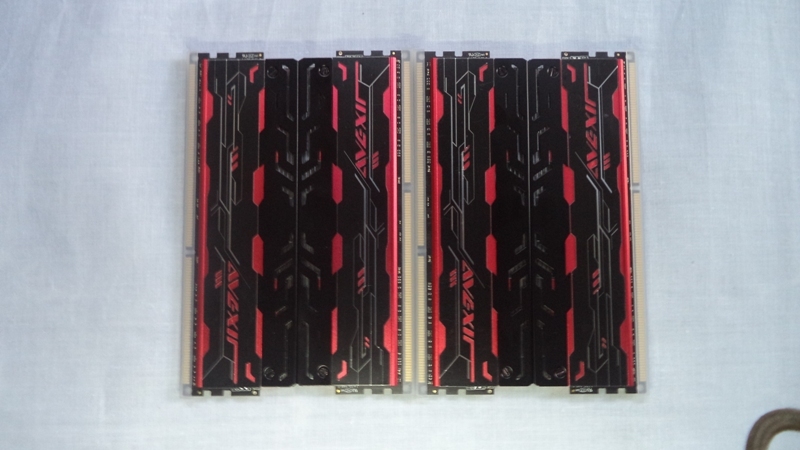 Compared to the front, you have all the crowd of words on the back of the box where we have some features mentioned about gamers and overclockers, then there’s a sticker having the kit model number, rated voltage etc and the company’s location. 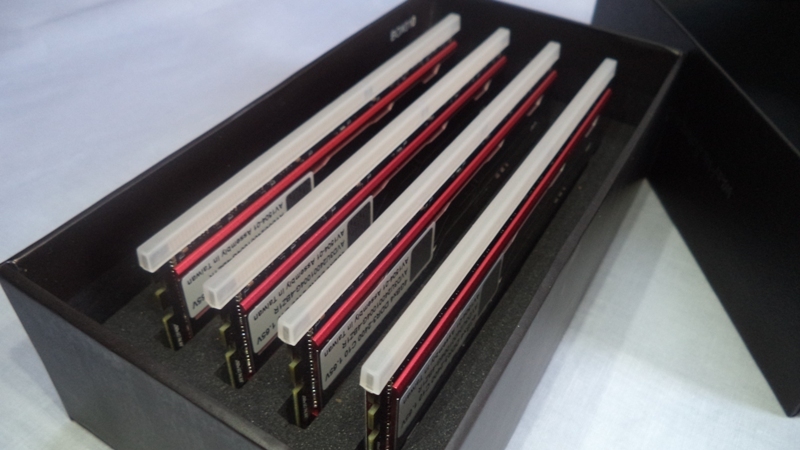 As soon as we open the box, we have the 4 DIMMs starring at us. The RAMs were held together by the cut throughs in the Styrofoam that they’re placed in. 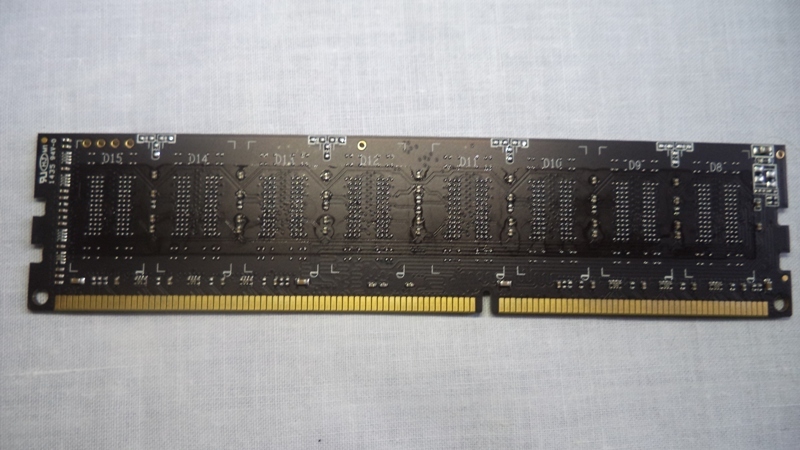 Also all the RAM connectors were covered by a plastic cover, we don’t get to see that much now a days. Taking them out of the box, we have a better look at how exactly the RAMs look like. On the right side we have the Avexir logo on all four RAMs and what’s left is filled with linings and designing. They have quiet an aggressive and eye-catching look in my opinion. 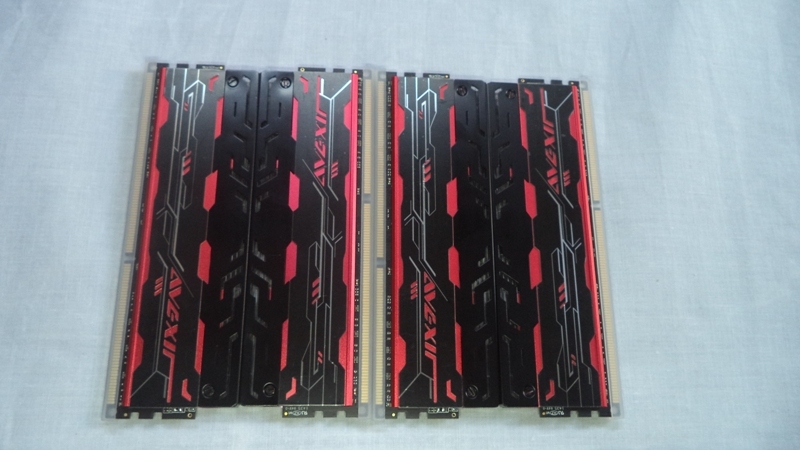 I’m pretty sure they’ll be a perfect match for red/black theme builds or motherboards like MSI/Gigabyte Gaming series that have the red/black theme PCBs and heatspreaders. 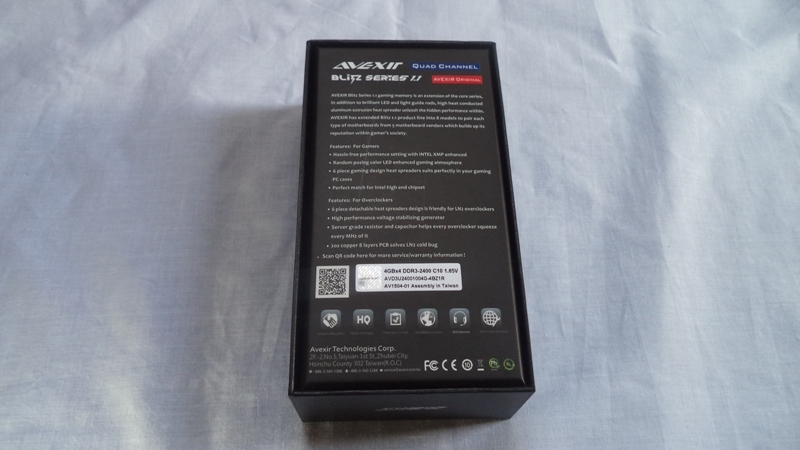 The back is of no difference, having the same design, but this time there’s a information sticker over the Avexir logo, which was also present at the back of the box detailing the speed, timings, volts and assembly. 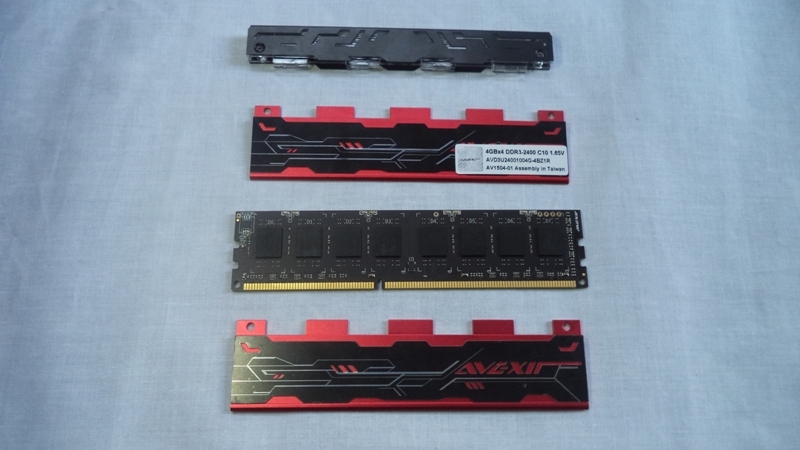 One of the most loved feature that Avexir provides for overclockers would be the 20z copper 8 layer OCB that helps resolve the LN2 cold bug during LN2 Overclocking while the second being the removal of heat spreader from the RAMs without voiding the warranty for LN2 mounts and extreme overclocks. And removing the head spreader is no issue at all, they’re just held together by 2 screws on either side of RAMs. After removing the heat spreader we can see the RAM in the full black PCB with a total of 8 LEDs installed directly on the PCB at top. As mentioned above, Blitz series comes with LEDs installed on them, different models have different LED colors like white, green, blue, and the one’s we have, have red LEDs. 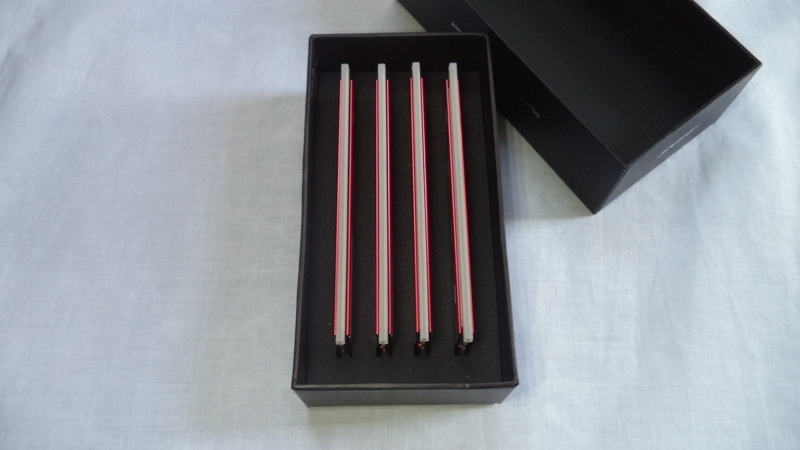 Below is a video demonstration of how the LED looks like while the system is powered on. There’s just one concern here, the LEDs can’t be controlled in anyways, nor they can be switched off. They have their own random on/off effects, which might look good for a while, but may not fit everyone’s taste in a long starring competition (why would someone do that anyways? ), though I’m out of ideas of how those LEDs can be controlled anyways without any external hardware/remote so it’s better than nothing. 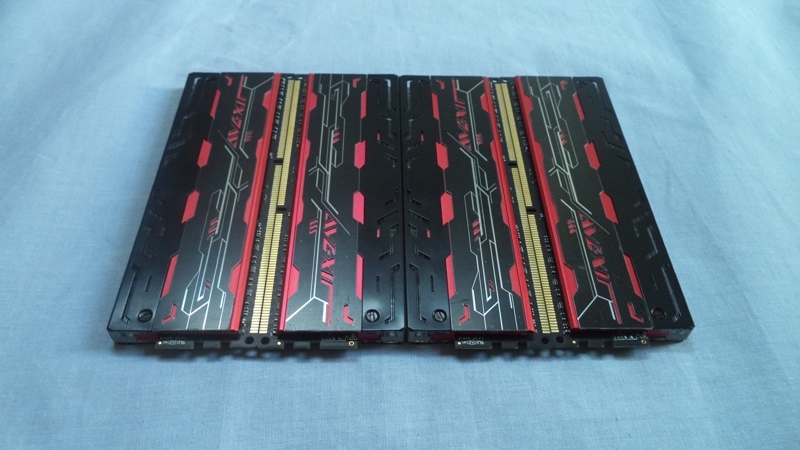 Enough with the eye candy, now let’s get into some benchmarking and overclocking cause these things are not just for looks, I wonder why anyone would buy something like that for only eye-candy when there’s much more to be done. 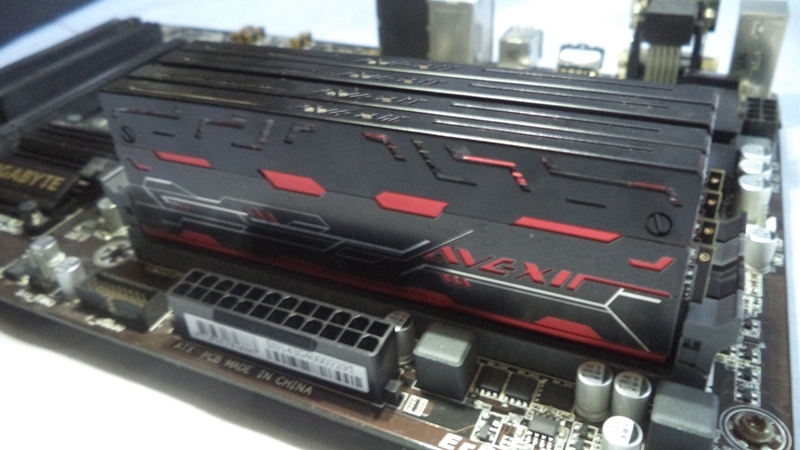 We are going to run the RAM through some tests like MaxxMem, Aida64 Extreme Memory and Cache test, 3DMark and some games at stock speed. Then we are going to check the RAM’s overclocking sweet spot by increasing the multiplier and voltage and playing with timings. 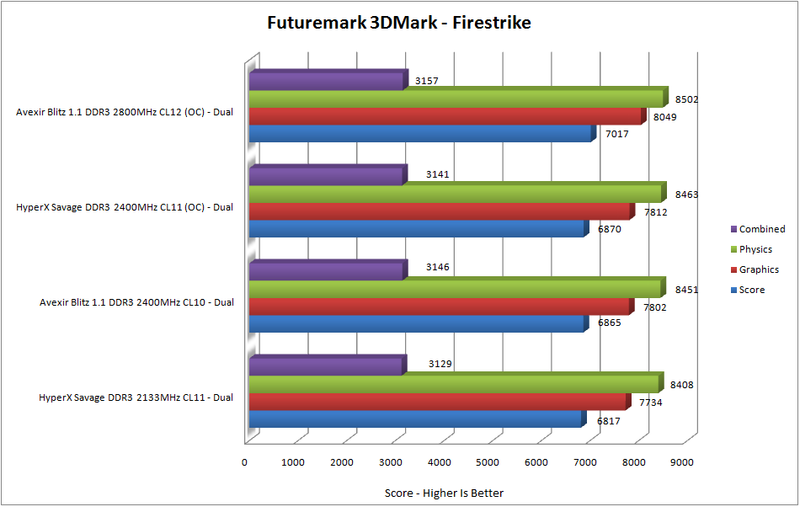 And once we’ve found thetrue sweet spot for overclocking, we’ll run the same tests against the stock and compare. There are few things that needs to be known about the test rig we have. 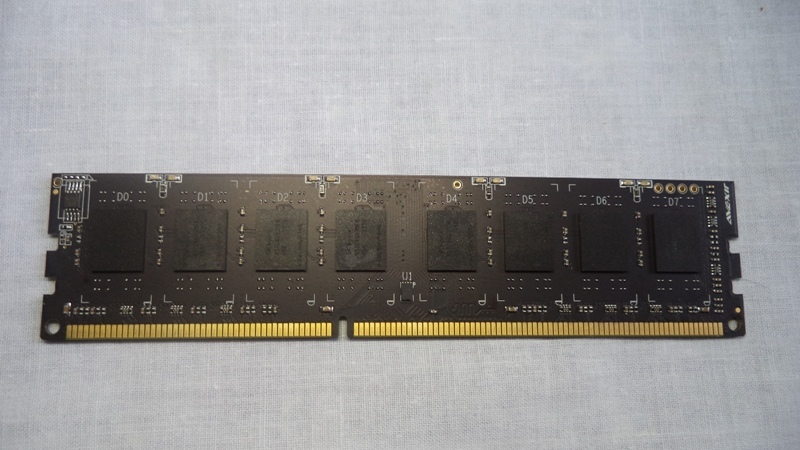 First of all, the particular board we are using in the test doesn’t support Quad Channeling and as you can see we have 4x4GB sticks. So in short, the performance/benchmark results you will see below is on Dual channel instead of quad channel. Which mean you can still squeeze out more performance from the RAMs while running on Quad Channel. Now Second concern is that, once again the particular board we have, it doesn’t allow us to change the DIMM voltage by +-0.01 (i.e 1.65v to 1.66v), instead it only allows us to change the DIMM voltage by +- 0.02 (1.64v to 1.66v) so instead of running the RAMs on it’s rated volt of 1.65V, we were running the RAMs on 1.66v. 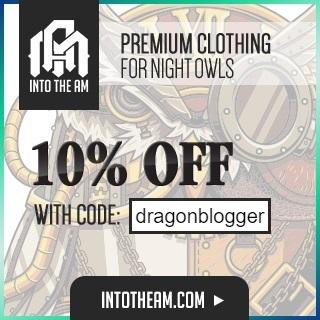 More about this in overclocking section. Hitting the power button once the RAMs were installed in the test rig, we booted through the POST without any problem after the BIOS configured the RAMs on auto. 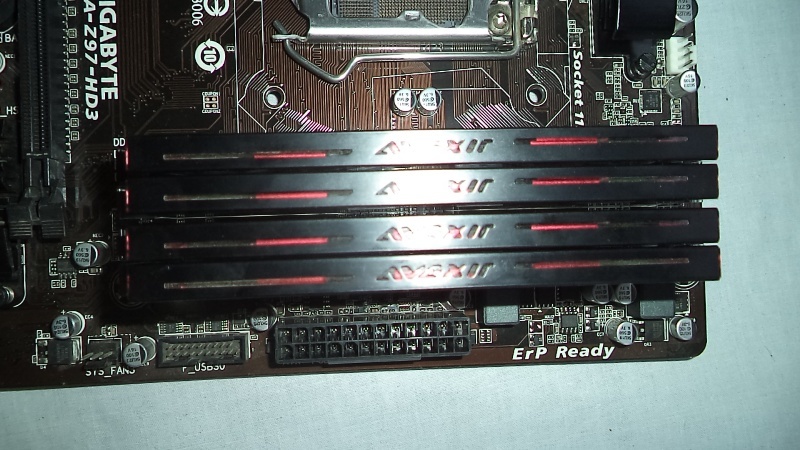 By default the RAMs were running at 1600MHz with the XMP profile disabled, so in order to achieve the promised performance from the RAMs we have to play with the bios a little bit. 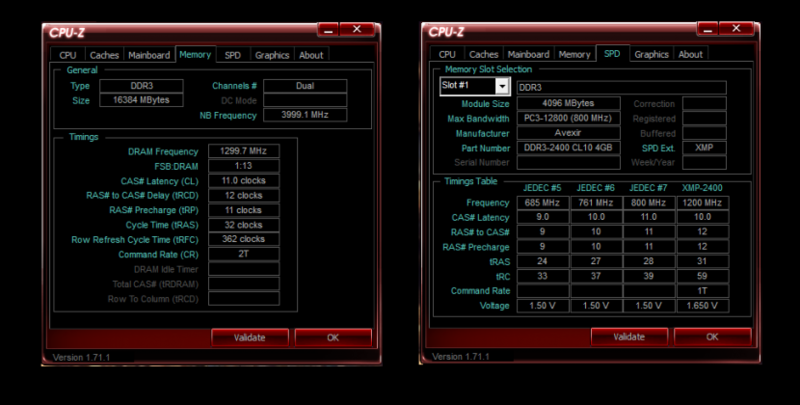 And just by enabling the XMP Profile, we were running the RAMs at its promised 2400MHz speed at CL10 timing on 1.65V. No problem at all running the RAM on it’s rated speed but instead of running on 1.65V we are running the RAMs on 1.66V, though that doesn’t mean it will be unstable at 1.65v. Our first stop was the OC of 2600MHz at 1.66v at CL11. We were able to tighten the timing from the auto configuration of 11-18-18-36-2T to 11-12-11-32-2T , any lower than that was resulting in a boot failure. Nevertheless, that was our first stable overclock. Our second stop was just a little increase in the MHz, at 2666Mhz. 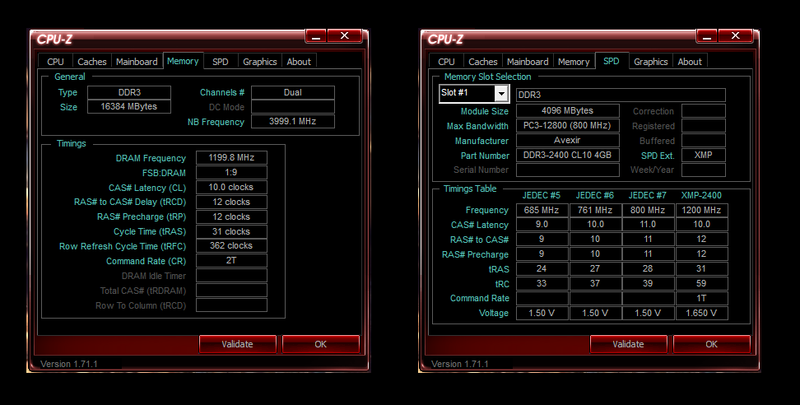 With just a little increase in MHz, we had to loosen the timings a little bit to make the Overclock stable. 2800Mhz was our final push for the overclocking journey. It was pretty hard to find the stable spot for this overclock, as it would remain stable in memory testing for a while, and then crash out of no where. Over that, the OC done on auto for 2800MHz resulted in a crashes so it was even harder (not really) to make a guess on the stable clocking, or whether is it even possible. And in the end, we came down to a stable overclock of 2800Mhz (that’s a whopping 400MHz increase from base clock) at the timing of 12-13-12-31-2T at 1.66V. It was not possible to go on the CL11 at 2800MHz, or if it was, the timings would have to be way loose. The odd thing was, I’ve seen people pushing the same RAMs beyond 3000MHz, but I was unable to even achieve a stable OC of 2933MHz. 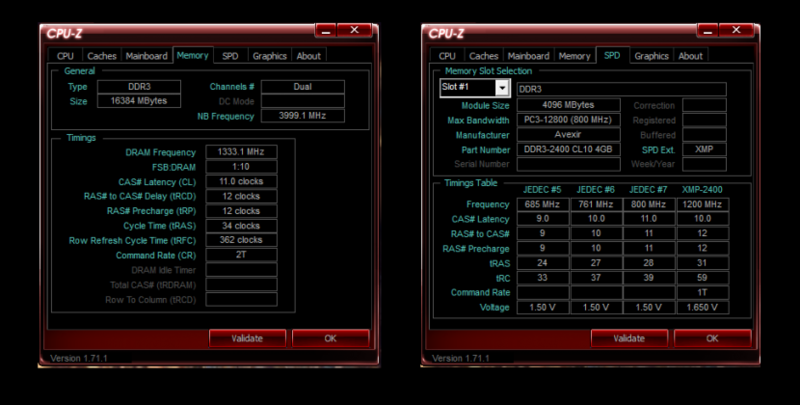 Be that my motherboard or the sample I received, I was unable to attain an OC of 2933MHz even at CL14 timing at 1.8V. Going beyond on the voltage would have been riskier on air cooling, so I came to a conclusion that we had hit the wall at 2800MHz. 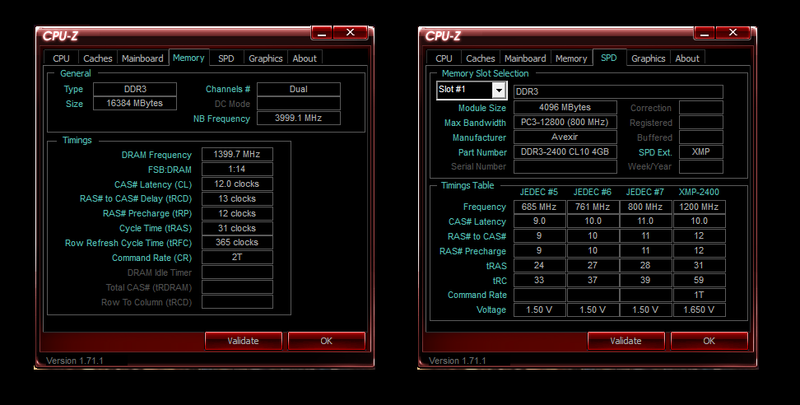 But an OC of 2800MHz over 2400MHz base, that’s something to brag about, a little maybe. 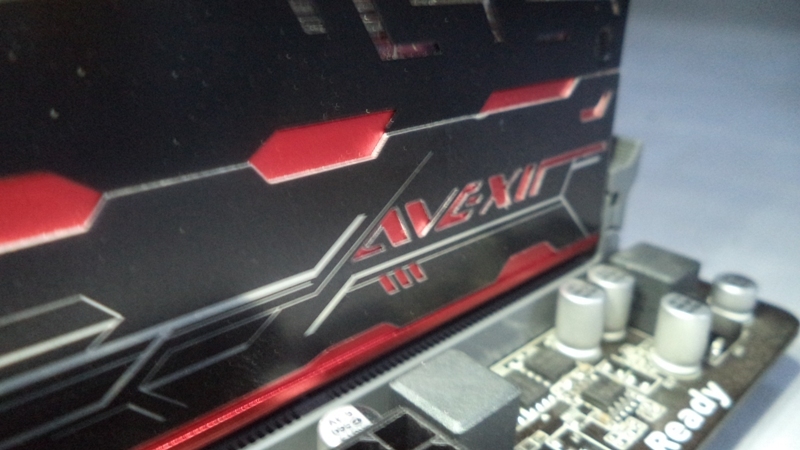 Compared to the previous RAMs we reviewed, this was more than enough of a headroom considering the RAM was already rated for 2400MHz which doesn’t really leave much headroom for overclocking on mediocre motherboard. 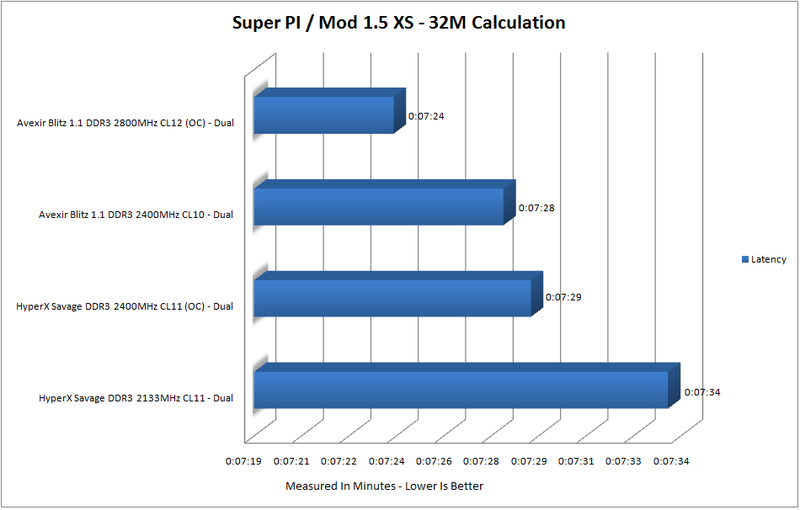 I’m pretty sure if it were some high-end motherboard, the results might have differed. Ignoring the graphics score as that’s more dependent upon the GPU, we do have somewhat increase in the physics and combined score over the base clock, but also seems like the HyperX Savage 2400MHz is on par with the Blitz 1.1 at 2400MHz. 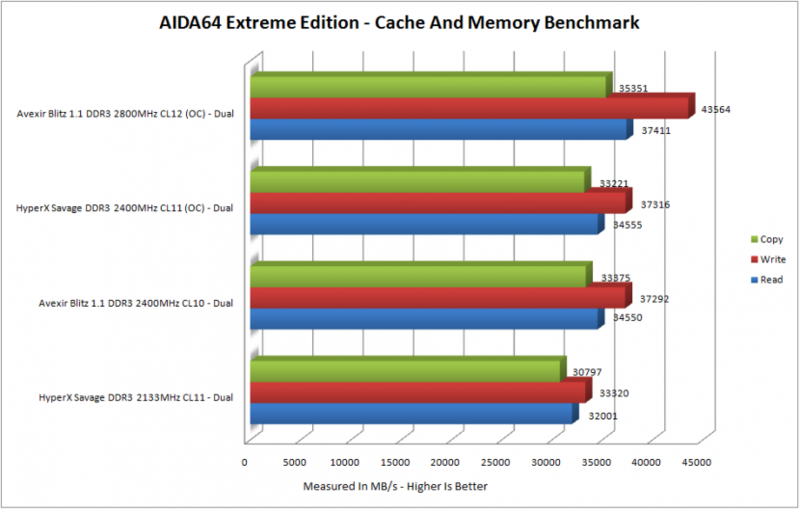 In AIDA64 Extreme Cache And Memory Benchmark, once again we can see that the OC of Savage at 2400MHz is almost on par with the Blitz at it’s stock clocking. 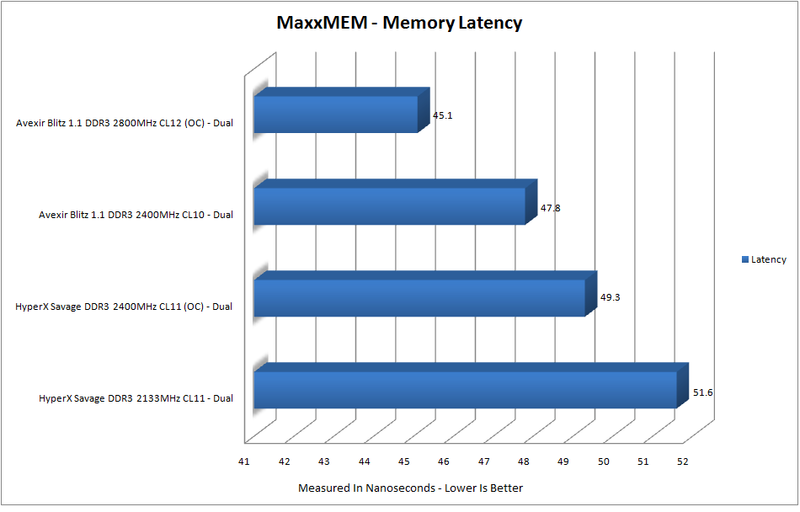 But we still have good enough increase in the speed ones the Blitz is OCed to 2800MHz. Blitz 1.1 even at stock seems to have the lowest timing compared to Savage, that goes even lower once the RAM is OCed and tightened at CL12. 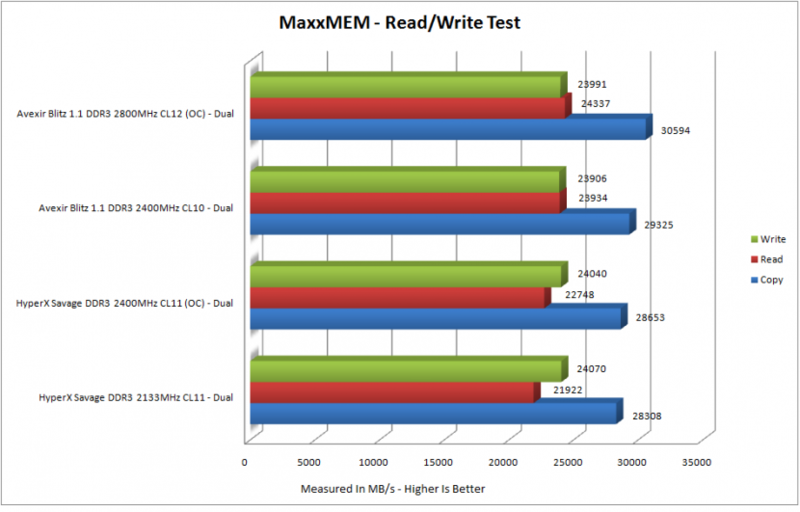 Pretty much same situation in the latency sector in MaxxMEM testing, but this time Avexir Blitz has the upper hand in read/write speed. Overclocking the Blitz RAM from 2400MHz to 2800MHz decreased the time of calculation of Pi by almost 4 seconds, also this was a sign that the OC was stable otherwise this test would give errors if the system was unstable in any ways. Avexir Blitz clearly has the upper hand in compression test, with about 6512KB/s on 2800MHz, 1GB of DATA was process in around 2:30 minutes. 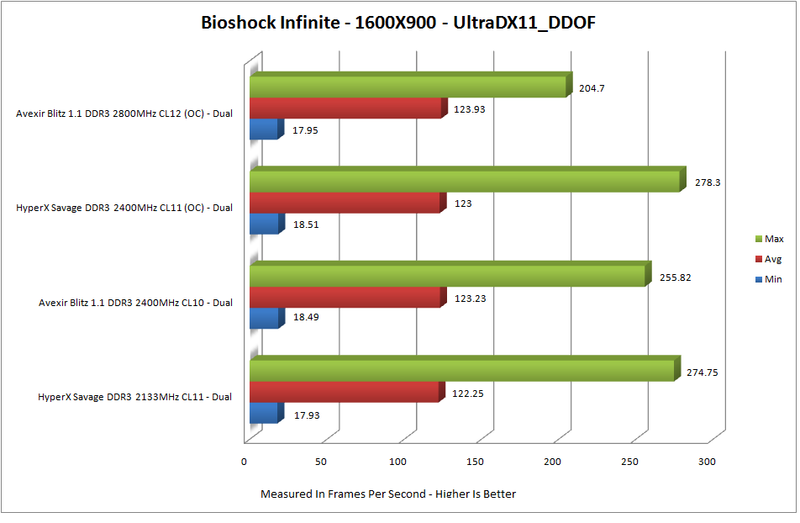 Some weird results in gaming sector, but that doesn’t change the average FPS we will have in the game. 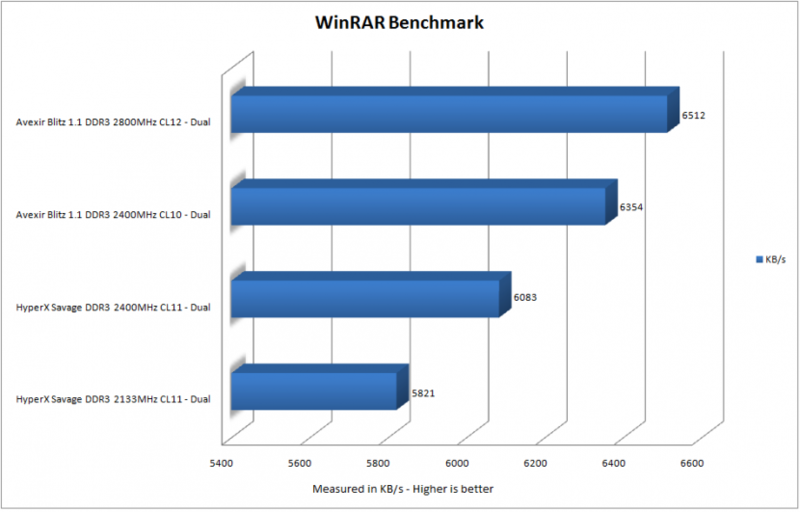 The highs and lows are most probably because of the CPU/GPU/HDD load time. 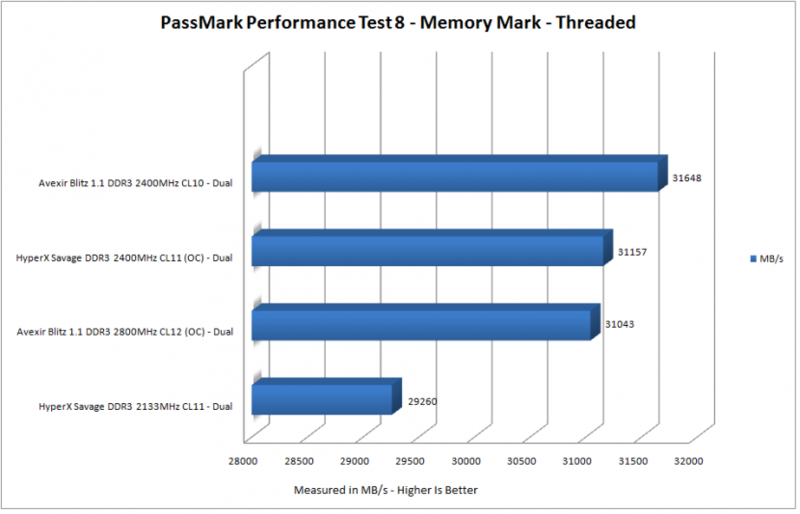 Once again some weird results on PassMark Memory Mark test. When the MB/s should have jumped higher on the readings when the Blitz was overclocked, rather than doing that, it somwhat decreased even below the reading on stock clockings. Just to make sure something else wasn’t effecting the readings, I ran the test multiple times, both on stock and OC, but saw no change. In short, the Blitz 1.1 series RAMs aren’t just great in looks, but when it comes to performance, they have solid grip there as well. 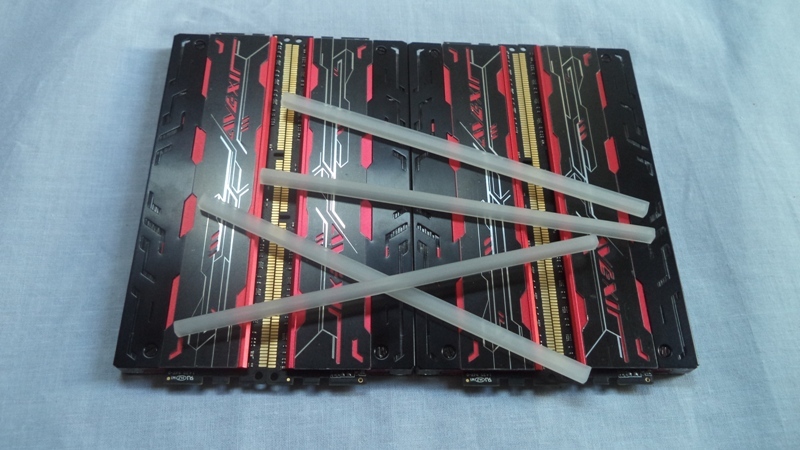 We had some fascinating yet weird results when the memory was overclocked and compared to the stock clocking and other RAM. Performance wise, it’s pretty much clear that the Blitz 1.1 have the upper hand here, and not only that, it has some overclocking headroom available as well to squeeze out the last of it. 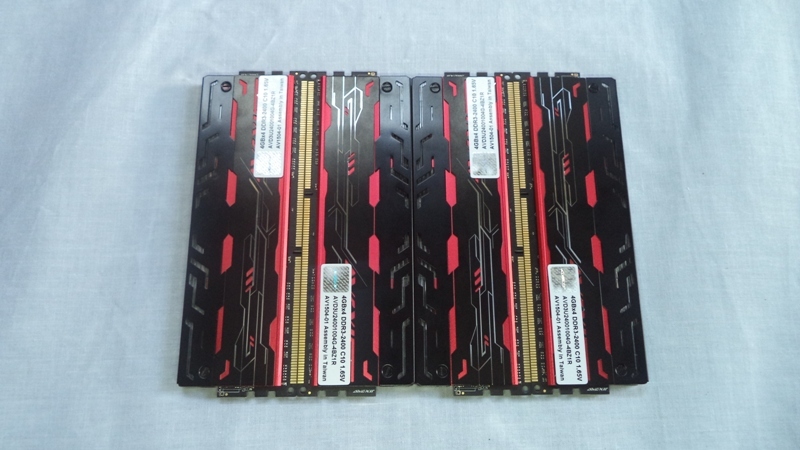 Talking about the looks, since I don’t really use Cases, or have sleeving cables or heck, even a similar theme motherboard, I’m can only imagine how awesome the RAMs would look in a themed build. Also worth mentioning is that the Blitz isn’t only available in RED, but there are different editions within the Blitz series with different LED option, which means there’s something for everyone. Coming down to price, I’m not really sure what to say, as I wasn’t able to find the actual MSRP of the product. Over at Amazon we have the same RAMs at a capacity of 8GB priced at about $300+ which surely isn’t the correct price, then looking over at Amazon UK, we can have a vague idea that the 4x4GB kit would cost around £169.99 to £189.99 that would be equal to 269-289USD which makes more sense. 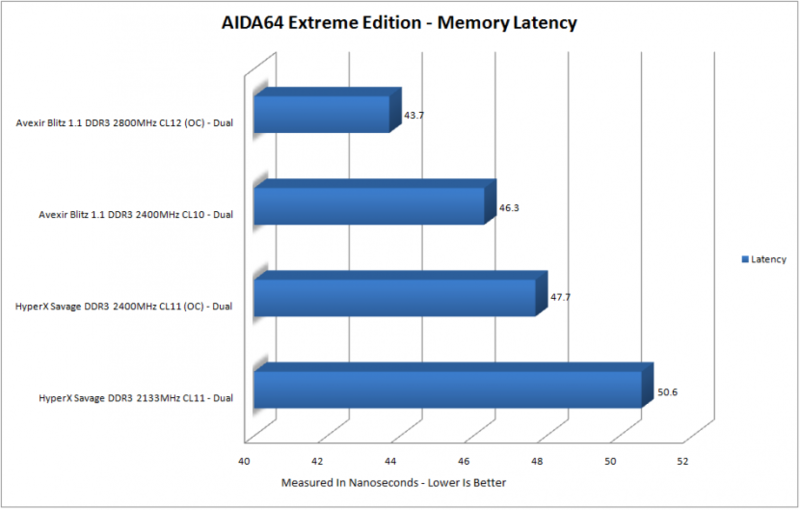 And if that is the case, we will have to deduct half a star here as the previous memory kit we reviewed cost almost 60% cheaper at almost similar performance and speed. 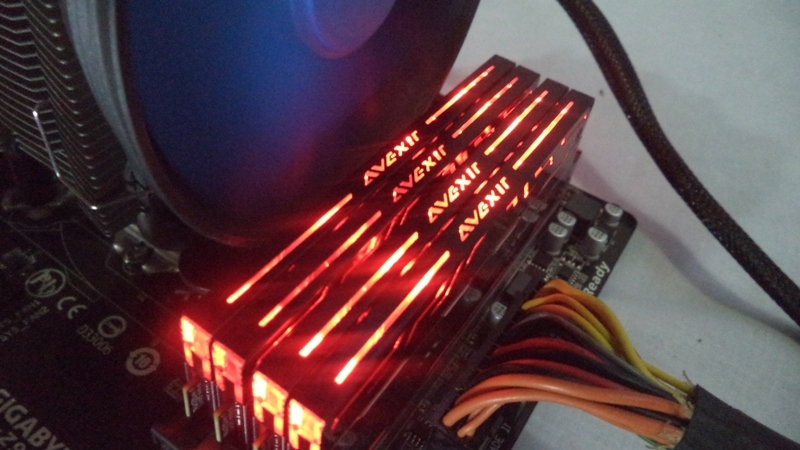 Only having a better looking heat spread with LEDs isn’t an excuse to charge that much on a RAM. Though we’ve asked Avexir directly about the price, and will update the thread when we have the required information. 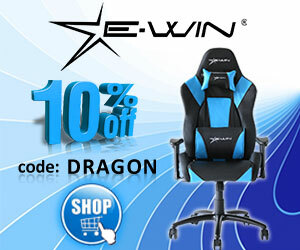 And lastly, huge thanks to Avexir for providing us with the review sample. 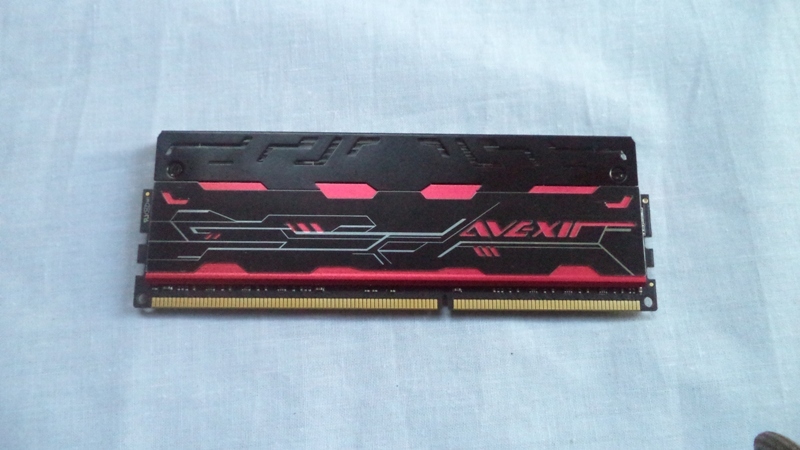 Disclaimer: Avexir provided us with the Blitz RAM so that we could do a thorough and accurate review. All opinions are 100% mine and mine alone. Hi, I'm Ahmed Kazim and I've been a gaming freak since like 7-8. I'm also a geek-o-nerd who keeps looking around for latest development in hardware/tech/gadget industries so expect some quick news from me. 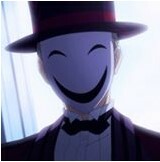 I'm also interested in anime (Japanese animation) and can't stand a day without music and gaming.